I think one of the best compliments in crafting is when other crafters are inspired by your projects. Even better when they come back and let you know so you can see what they've made. I'm so pleased that my rolled rose heart inspired two of my lovely followers in their work. Here's the project I've made for the Bubbly Scrumptious blog using our featured product - Prima Iron-ons. I've never used anything like this before and thought I would mess it up, but it was easy peasy! The quality is amazing, you get such a professional finish. Check out the blog to see what all the Daily Designers have created and the website to see all the designs available in the range. I've used fabric this time to 'iron on' to but they also 'iron on' to card stock, and next week I'll be sharing another project where I do just that. Whenever I fall out of love with card making I find the best thing to do, rather than keeping at it, is to 'change it up', try something new. 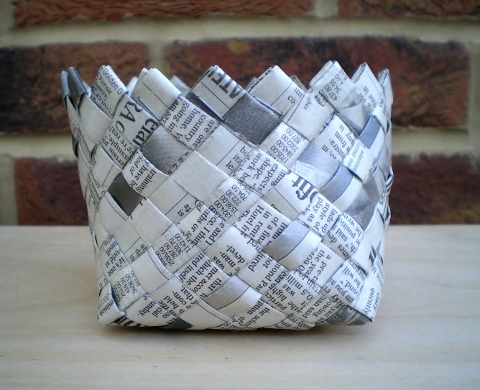 So, I've been weaving newspaper. It's an absorbing craft, ideal if you're looking to lose yourself for a few hours! I do love 'Upcycling', there's just something so rewarding about taking an item destined for the recycling bin and turning it into something useful. Now, here's a link to the tutorial I used. Here's this week's make for the Bubbly Scrumptious blog. A teeny mini book using a wooden spool to bind- it. 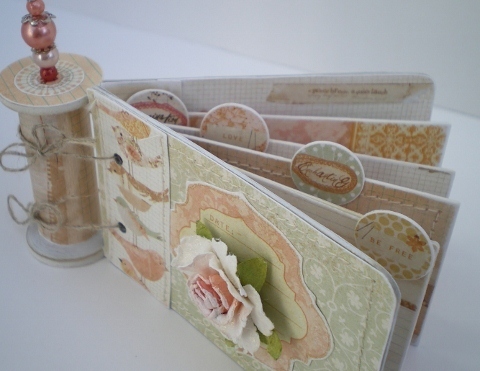 I do love this Prima Songbird paper collection. A lovely fresh and clean 'Spring' colour palette with accents, journal cards and tickets within the paper designs, making a 6 x 6 paper pad go just that little bit further. For the supplies list and a step by step guide to make it. pop over to THIS page on the Bubbly Scrumptious blog. 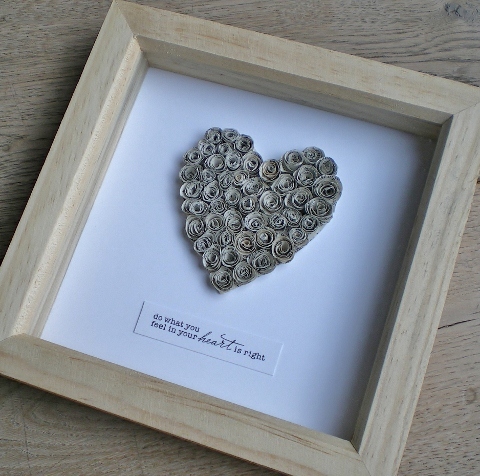 It's time for another challenge over on the Let's Craft and Create blog, and the theme is Sentiments. We'd like to see a sentiment as the focal point of your project. 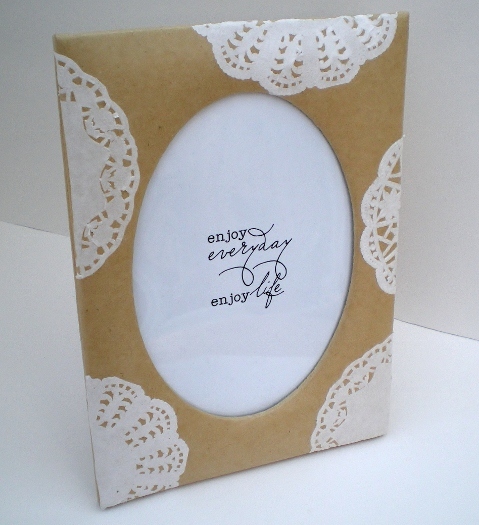 I've been busy with the Mod Podge again and decorated a kraft frame with mini doilies. First arrange the doilies around the frame and trim to fit. 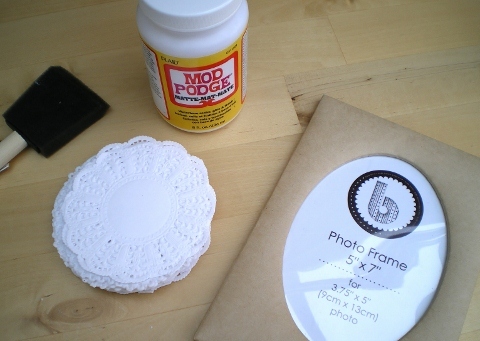 Then using the Mod Podge or PVA adhere the doilies to the frame, and allow to dry. Finally apply a coat of Mod Podge over the entire frame to seal it. Simple! We'd love for you to join in the fun this time. 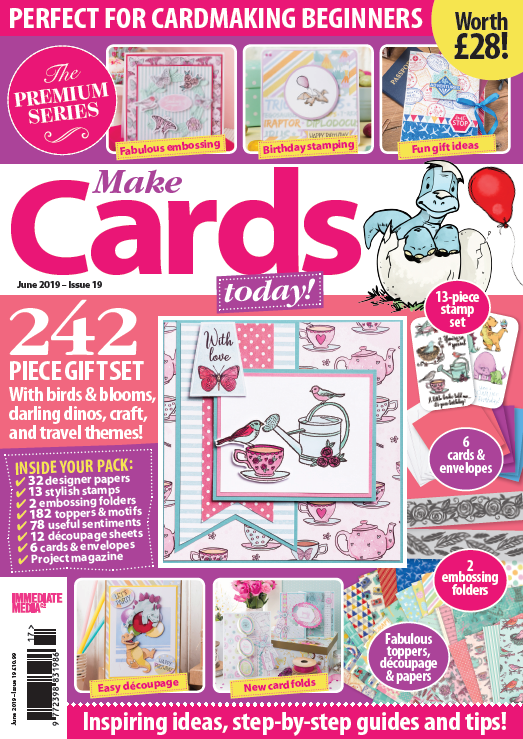 Check out the blog for some fabulous cards and projects from the Let's Craft and Create team and a photo of the prize on offer to one lucky entrant. 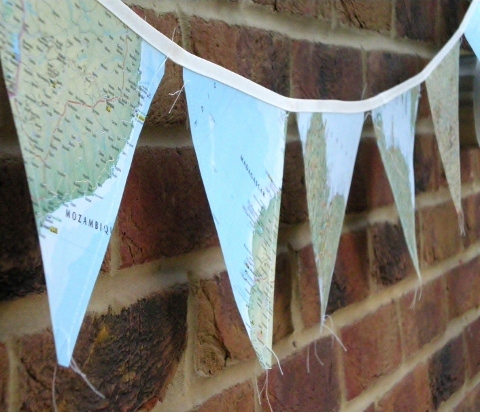 I won some lovely vintage map bunting from Em over on Daffodils & Snowdrops blog last week. Here it is hanging in my craft area. Apologies for the poor photo, my camera seemed happier focusing on the bricks than the bunting. For some better photos and a tutorial to make your own bunting, check out Daffodils and Snowdrops. 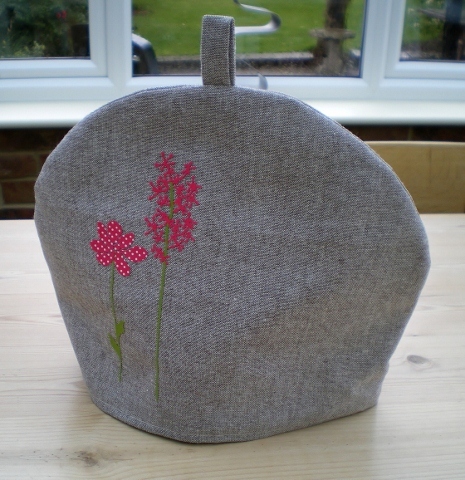 It''s a lovely blog filled with vintage finds and crafty makes. I'm going to have a go at making my own with some vintage London bus maps I bought at the London Transport Museum Depot in Acton last month. For any Londoners out there who've never been, it's well worth the visit. Took me back to the days when I travelled to school every day on a Routemaster bus...showing my age now! 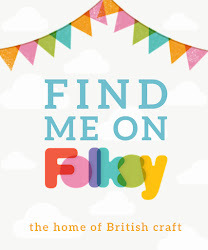 It's pouring with rain here today - so I'm off to catch up on some crafting! It's time to announce April's Ribbon Girl challenge. The colours for this month are Orange, Pink, and Aqua. Don't forget your entry doesn't have to be a card, but it has to be a new project using the colour palette. 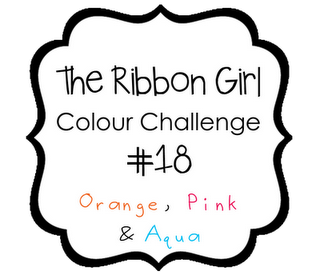 Check out The Ribbon Girl Blog for details of all the prizes on offer, an inspiration photo, plus lots of wonderful inspiration from all the Ribbon Girls. 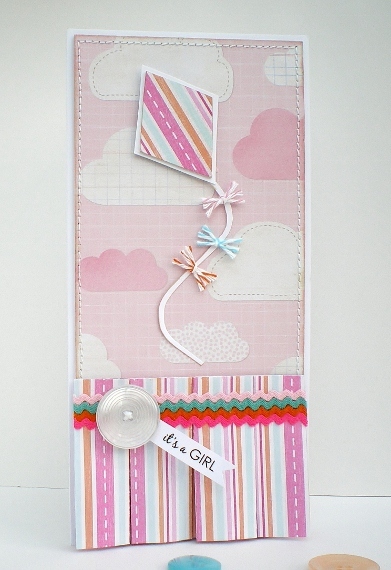 For my 'New Baby' card I've used Tiny Ric Rac, Bakers Divine Twine Top Stitching Thread and Pastel Button Mix, all available from The Ribbon Girl Shop. I've had a bit of a breakthrough today and finally made something I'm happy with. I was getting a little concerned, I've never been so uninspired for so long before. I'm blaming it on the weather, the sun is shining here today so I'm feeling a whole lot better. I've been wanting to make a spool card for sometime now. 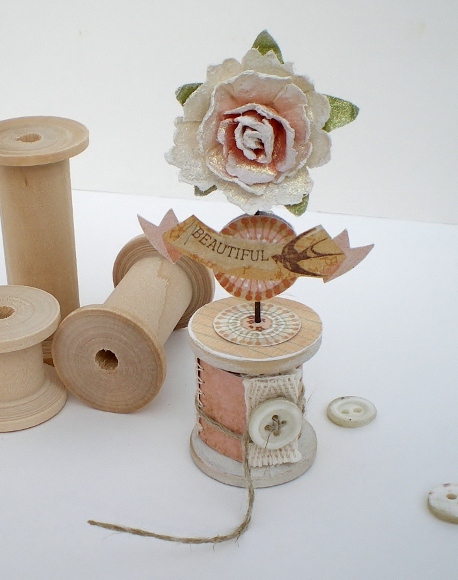 So, when I received a parcel of goodies from Caroline at Bubbly Funk, with lots of Prima pretties and a bag of wooden spools. Today seemed the perfect time to give one a go. Hope you like it as much as I do. It's featured on the Bubbly Scrumptious blog today with the supplies list and a step by step tutorial to make it on this page. 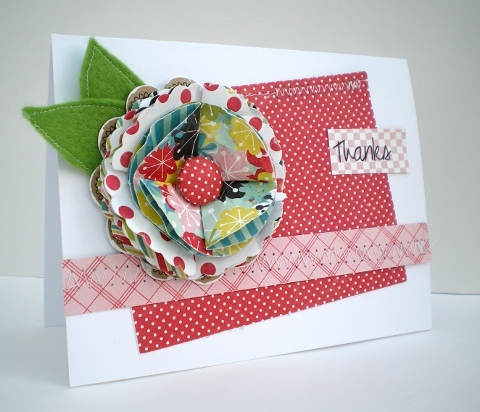 I'm back with a card to share featuring a box-top flower. I kept the design simple and let the flower take centre stage. It's my make for the Bubbly Scrumptious blog so the supplies list and a tutorial for the flower are over on the blog. 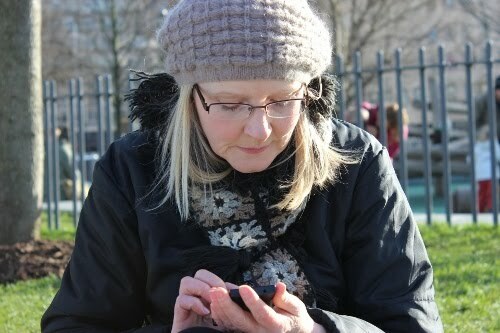 No crafty projects from me today, can't believe it's almost a week since I last blogged. 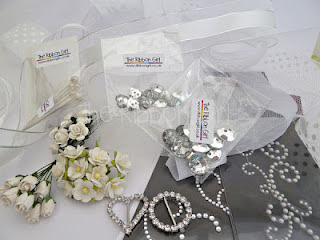 I just wanted to let you know about a fantastic White and Sparkly giveaway over on The Ribbon Girl blog. You've got until Sunday 15th April to enter, check out the blog for all the details. I hope to back soon with a project to share - but no promises, I'm suffering from a bad case of mojoitis! It's time for another challenge over at Let's Craft and Create. This time it's Shaped cards. To make my card. 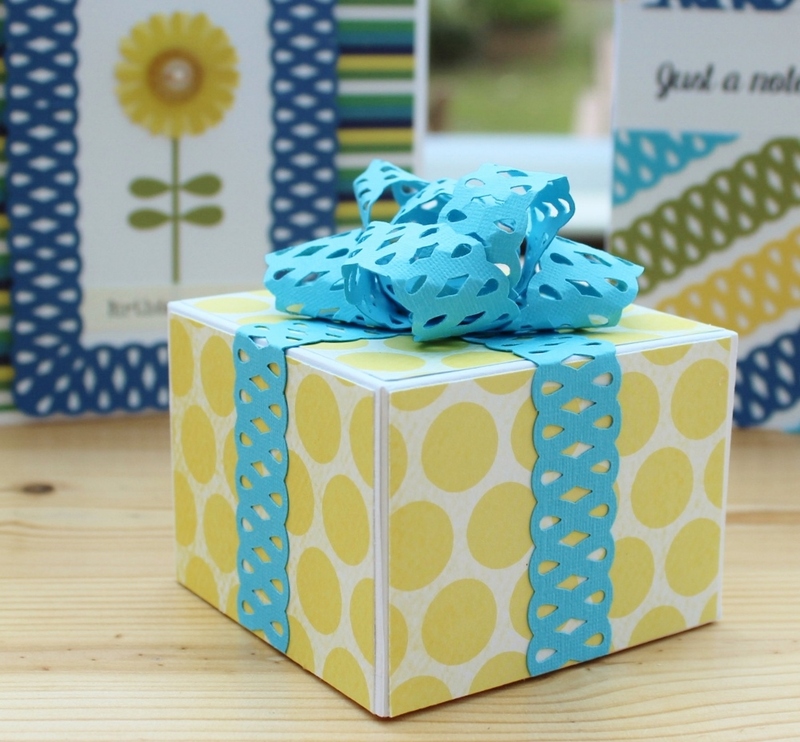 I used a flower shaped template placed over the folded edge of a card blank. Then added a leaf - hand drawn - before cutting the whole shape out. Really hope you can join us this time. Check out the blog for some fabulous inspiration from the rest of the Design Team and the prize up for grabs for one lucky winner.